Well, maybe. But it might not really be so bad. Perhaps a little context is in order, starting with why physicists loved SUSY so much in the first place and then investigating the reasons for concern a little more deeply. There may turn out to be various ways the play could end without everybody having to die. First of all, supersymmetry seems like such a good idea to physicists because symmetry even without the super was so successful. (After all, isn’t a supernova better than a nova? Supermodel better than a model? Superman better than Clark Kent?) 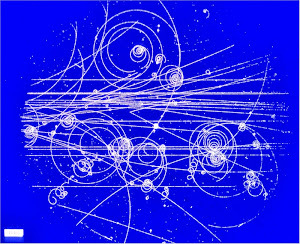 Symmetry showed its power in Einstein’s theory of relativity, for example, and later on in the development of the modern theory of particles and forces, the standard model (or as Nobel laureate Frank Wilczek likes to call it, the Theory of Matter). This is the nightmare for theoretical physicists. We got a very nice theory of everything in the 1970s, and since then all the big shots have been telling us that the theory must be wrong and we need to spend tens of billions of dollars building accelerators to prove it. So far, the LHC has only confirmed the Standard Model of the 1970s. Note how all these guys go out of their way to credit Einstein, even when he has nothing to do with the subject. Einstein did not discover the power of symmetry in relativity. The symmetry group is called the Lorentz group, because Poincare named it before Einstein ever wrote a paper on relativity. Einstein was particularly skillful when it came to symmetry. His theory of relativity embodies the principle that the laws of physics stay the same no matter how you move. No it was Lorentz who figured out how the laws of electromagnetism stayed the same no matter how you move, and Poincare who looked for a relativistic gravity by looking for laws invariant under the Lorentz group. The only symmetry argument that Einstein discovered on his own, as far as I know, was that the inverse Lorentz transformation had the same form. Apparently Lorentz did not notice that in his 1904 paper. Of course Poincare had it all, and had it before Einstein. Siegfried also believes in the multiverse, but not the Higgs. Quantum Frontiers names the 10 biggest breakthroughs in physics over the past 25 years. My problem with the list is that several of them have no known relation to the real world: Shor’s Algorithm, Quantum Error Correction (QEC), AdS/CFT, Quantum Teleportation. The first two are pure math and might be realizable if quantum computers were possible, but all attempts have fails. AdS/CFT is math, and is not realizable. Teleportation is an interpretation given to certain experiments, but it is not really teleportation and none of the supposed practical advantages of teleportation have ever been realized. The blog also promises to list the biggest open problems, including quantum gravity, firewalls, harnessing quantum weirdness, and what is time. I'll have to wait and see what he says, but I do not agree that these are open problems. Much of Albert Einstein's fame is based on claims that his presentation of the Lorentz transformations was somehow superior to what had been done previously. The most startling part of relativity is that motion affects space and time. Brown traces the origin of this concept to 1889, long before Einstein. As Brown shows, both FitzGerald and Lorentz arrived at the contraction hypothesis as a logical consequence of the MM experiment showing that the speed of light is the same in all frames, together with other experiments rejecting the aether drift theory. Brown notes that the MM experiment only showed that the length is contracted relative to the width. FitzGerald and Lorentz were not sure whether the length is contracted, or the width is expanded, or some combination. Lorentz eventually concluded that the deformation was purely a length contraction, and published that in 1904. FitzGerald died in 1901, without knowing that his 1889 letter was published in AAAS Science, or that it contained what would later be considered one of the greatest insights in the history of science. Einstein wrote his first relativity paper in 1905. He relied on Lorentz's analysis of the MM experiment, but did not mention the experiment and later denied that he even knew about it. His main argument was that the Lorentz transformations can be deduced from the speed of light being the same in all frames, without mentioning experiments. Anti-positivist philosophers have praised Einstein largely for ignoring the experiments. He did not mention the dynamically argument because he could not get it to work, and he explained many years later. Thus FitzGerald and Lorentz discovered (independently) the length contraction using the speed-of-light argument, and then tried to support it with a dynamical argument. 13+ years later, Einstein published a paper presenting the length contraction using the speed-of-light argument, and did not mention the dynamical argument. according to an article by Victoria Woollaston in the Daily Mail, Google hopes to use its D-Wave quantum computer to “solve global warming,” “develop sophisticated artificial life,” and “find aliens.” (No, I’m not making any of this up: just quoting stuff other people made up.) 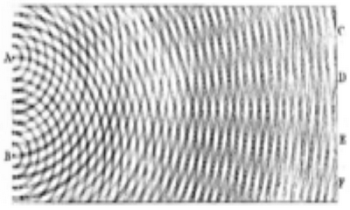 The article also repeats the debunked canard that the D-Wave machine is “3600 times faster,” and soberly explains that D-Wave’s 512 qubits compare favorably to the mere 32 or 64 bits found in home PCs (exercise for those of you who aren’t already rolling on the floor: think about that until you are). It contains not a shadow of a hint of skepticism anywhere, not one token sentence. I would say that, even in an extremely crowded field, Woollaston’s piece takes the cake as the single most irresponsible article about D-Wave I’ve seen. And I’d feel terrible for my many friends at Google, whose company comes out of this looking like a laughingstock. This is more hype than usual, but none of the quantum computer admit that there has been very little progress making such computers and they will probably be impossible. There is some disagreement as to how to best explain special relativity. The original approach of FitzGerald and Lorentz was to interpret the Michelson-Morley experiment as requiring a contraction, and then the deducing the Lorentz transformations while looking for an electromagnetic explanation. Einstein's approach was the same, except that he accepted Lorentz's analysis of Michelson-Morley and said that he failed to find a constructive electromagnetic explanation. Poincare and Minkowski found a spacetime geometry explanation, and that has been the preferred explanation ever since. The lesson, then, from all this talk of kinematics vs. dynamics, principles vs. constructions, and so on, can be concisely stated: relativity, viewed as part of a broader investigation into the quantum field theoretic nature of particles, is fundamentally a theory about matter and how it interacts. While it may be formulated in terms of space-time geometry, viewing it as a theory about space-time geometry is putting the cart before the horse [5, p. 12]. Building a picture of relativistic physics from the bottom-up in this manner does, admittedly, lack some of the elegant conciseness of Minkowski's geometric formulation. Nonetheless, as John Bell said: "The longer road sometimes gives more familiarity with the country [1, p. 77]." Lots of phenomena have multiple explanations. Something can be learned from each one. Source: Einstein, Albert (1911). "Zum Ehrenfestschen Paradoxon. Eine Bemerkung zu V. Variĉaks Aufsatz". Physikalische Zeitschrift 12: 509–510. Original: Der Verfasser hat mit Unrecht einen Unterschied der Lorentzschen Auffassung von der meinigen mit Bezug auf die physikalischen Tatsachen statuiert. Die Frage, ob die Lorentz-Verkürzung wirklich besteht oder nicht, ist irreführend. Sie besteht nämlich nicht „wirklich“, insofern sie für einen mitbewegten Beobachter nicht existiert; sie besteht aber „wirklich“, d. h. in solcher Weise, daß sie prinzipiell durch physikalische Mittel nachgewiesen werden könnte, für einen nicht mitbewegten Beobachter. The above paper uses the term "Larmor dilation" for the relativistic slowing of clocks, and maybe that is a good way of crediting his early work on what we now call Lorentz transformations. On the face of it, still, Einstein dissents, countering with different claims about the facts of physics: there is neither an aether nor an absolute motion to cause the contraction; it is not intrinsic, but a relation between a thing and an inertial frame of reference. If that first-face comparison is correct, then Lorentz and Einstein do differ over physical facts; the difference obliges us to choose between them for the purposes of physics. But all of this is false, as Lorentz and Einstein did not disagree about any factual claims about the aether, nor did they disagree about whether the rod's contraction is intrinsic. Earlier in his book, Lorentz puts length contraction on a par with the expansion of an object or a gas upon heating it: “We may, I think, even go so far as to say that that, on this assumption [i.e., the contraction hypothesis], Michelson’s experiment proves the changes of dimension in question, and that the conclusion is no less legitimate than the inferences concerning the dilatation by heat or the changes of the refractive index that have been drawn in many other cases from the observed positions of interference bands” (Lorentz 1916, p. 196). I doubt that Einstein would have disagreed with this statement. Several years ago I had a book in press, Everything’s Relative and Other Fables From Science and Technology. Given the title, the publisher’s house artist not unreasonably designed a cover that included a photographic image of Albert Einstein. The publisher (Wiley) had properly licensed the photo from Bill Gates’ firm Corbis. One would have thought that would end the matter. I am not worried, as Einstein is now in public domain.